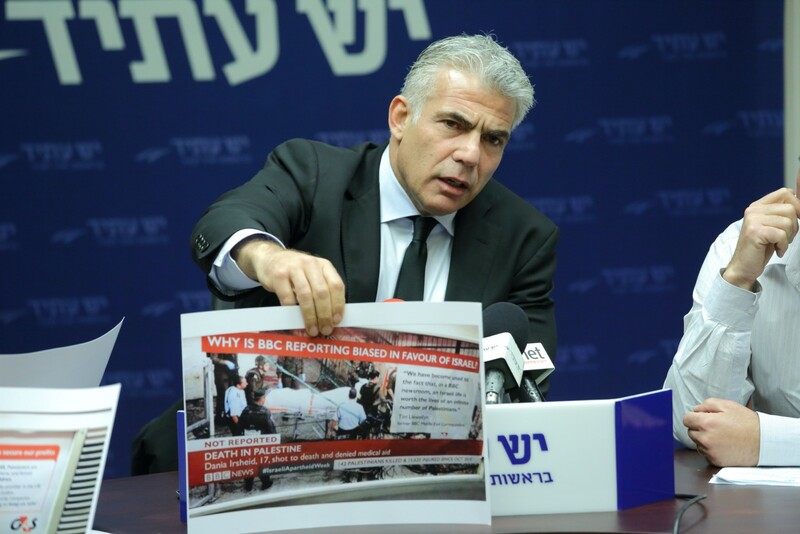 Yesh Atid chairman Yair Lapid launched a sharp rebuke against the Haaretz newspaper for having “become a tool of the BDS movement.” The comments were made during a speech at the Tel Aviv Chamber of Commerce’s annual gathering on Wednesday, April 6. “The ongoing violent and venomous attack by Breaking the Silence and the newspaper Haaretz on Zionism and on the combat ethics of the IDF has made them a tool of the BDS movement,” Lapid said, referring to the international boycott, divestment, and sanctions movement targeting Israel. Lapid further lamented what he described as “the venom, violence, and crude wickedness of Israeli discourse that have become a national plague.” He also denounced the recent criticism by politicians of Defense Minister Moshe Ya’alon and IDF Chief of Staff Lt. Gen. Gadi Eizenkot over their handling of a soldier who shot an injured Palestinian assailant in Hebron, as well as a torrent of political backlash against the Supreme Court following its ruling overturning a major government gas deal. “If we don’t wake up, we’ll become a society of hatred. Violent and inciting discourse does not allow us to conduct fair and incisive conversations about what’s really important to us,” Lapid added in his remarks, which were posted to his official Facebook account.